Santa on his annual ride along Main Street in a horse drawn carriage. 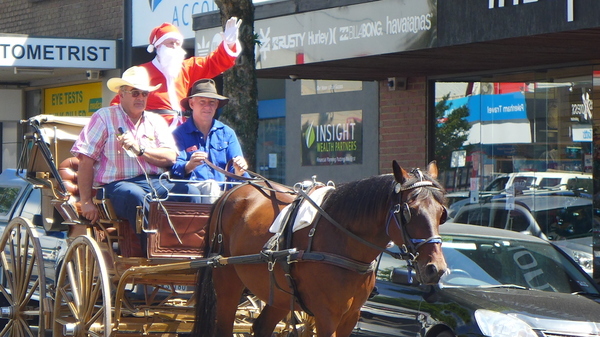 Father Christmas will ride through Main Street in a horse drawn carriage ( several times) on Saturday 22 December as part of the annual Main Street Festival. Santa will spread Christmas cheer from 11am until noon as he makes his way along Rogers Street, down to Drake Lane and up Main Street. Elves will accompany him handing out lollies and Christmas smiles to shoppers in the street. Buskers will sing carols and invite everyone to join in. Mr Yakkerboo and Blue will be dressed for the occasion adding an extra festive feel to this year’s festival. 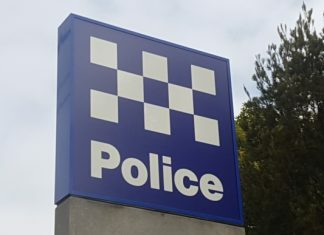 Jillian Ronald, who is helping organise the event on behalf of the Cardinia Art Society, said the idea was to bring the joy of Christmas to Main Street. She encouraged families to line the route to cheer on Santa. “It has been a tradition for Santa to visit Pakenham on a horse and carriage,“ Ms Ronald said.